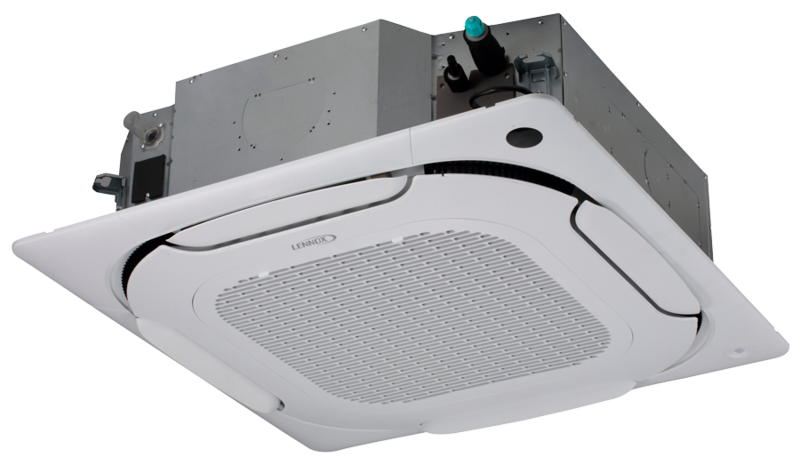 A low profile and 360-degree air distribution let the V33B provide multi-directional airflow for rooms with limited space available above the ceiling. Auto swing louvers adjust the air direction based on the operation mode. Outside Air Connections—Allows ventilation air to be induced directly into the unit. DC Motor—Available in a DC motor configuration for maximum energy efficiency. Weight: 54 to 69 lbs.